Learn everything that you wanted to know about Vernon Hills IL from one of the top 2% agents in the Chicagoland area, Anne Kaplan of The Anne Kaplan Team and @properties. If you have any questions about the Vernon Hills IL area or would like to explore the area Vernon Hills IL area, please contact me as I have been working with buyers and sellers in this area for over 30 years! If you are looking to buy or sell a home in Vernon Hills, I welcome the opportunity to show you how the Anne Kaplan Team can get the job done! Vernon Hills IL is a town that has truly come into its own in the past 20 years. As of 2013, the population was 25,613. 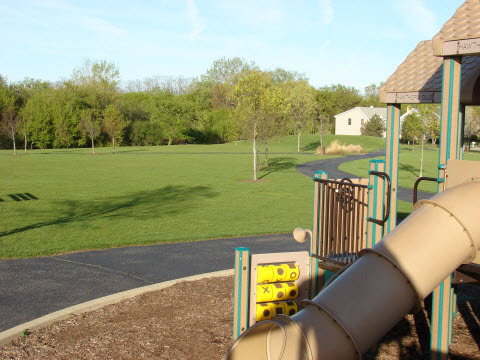 With a new high school (Vernon Hills High School) and several newer subdivisions that have been developed in the the late 1990’s and the early 2000’s, Vernon Hills has attracted many buyers that are looking for a community with newer construction and modern conveniences. Vernon Hills is also known for having a huge variety of shopping. Westfield Hawthorn mall is in Vernon Hills and has recently undergone major renovations and upgrades including adding the very popular Maggianos, AMC Theatres and Dave and Busters. 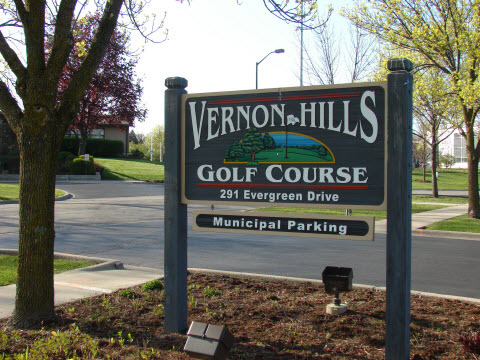 Vernon Hills is home to White Deer Run Golf Club. Built on the famed Cunio Estate, White Deer Run offers 240 Acres of rolling terrain featuring picturesque lakes. 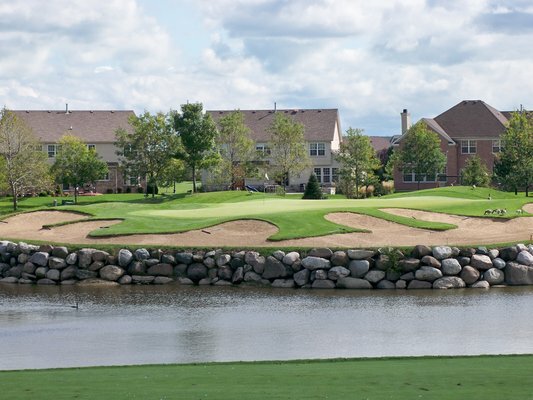 With 18 holes of golf, this course offers a fair challenge for all skill levels. They also have the Lakeview Fitness Center that offers a wide variety of equipment and programming dedicated to keep you fit and healthy. 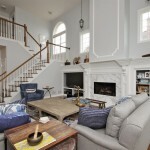 Vernon Hills Real Estate is primarily newer construction homes at very affordable prices. Whether you are looking for an a contemporary luxury home, traditional single family home, affordable townhouse, or a short sale, I am a Vernon Hills IL Realtor that will guide you in finding what ever you are looking for. 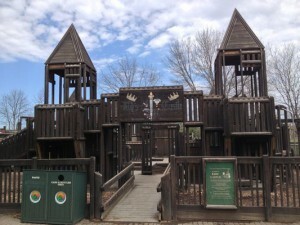 Vernon Hills also offers several town home and condominium options. These townhomes and condominiums often attract buyers that are looking to downsize or buyers looking for a more carefree lifestyle. Most of these condos and town homes have been built in the past 20 years. 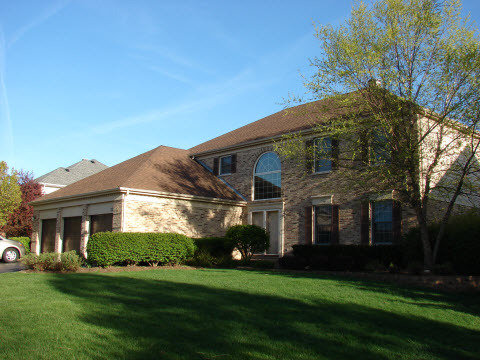 Real Estate in Vernon Hills IL is primarily newer construction homes, townhomes and condos. Prices for most traditional detached homes in Vernon Hills range from the mid $300,000-$500,000’s however there are a few areas with luxury homes that range from the $600,000 – $1,000,000’s. These homes are found primarily around the golf course in Gregg’s Landing. 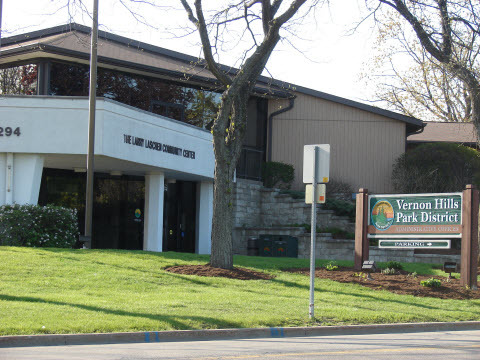 The Median home or condo value in Vernon Hills is Approximately $288,000. The median gross rent in Vernon Hills Il is $1200. As of the 2012, the estimated average household income was $84,745, compared to the Illinois average of $55,713. The median age is 41.9 compared to the Illinois median of 39.6. 63.1% of people living in Buffalo Grove are married and 8.5% of Buffalo grove residents are divorced. According to the United States Census Bureau, Vernon Hills has a total area of 7.43 square miles and has a population density of 3,456 people per square mile. Vernon Hills is bordered by Long Grove on the southwest; Libertyville on the North; Mettawa on the northeast; Mundelein on the northwest; Buffalo Grove on the south; Lincolnshire on the southeast. The climate in town is classic Midwest climate. Summers are warm and humid with average summer temperatures in the 80’s. Winters are typically cold, with low temperatures going into the teens. Snowfall peek in December and January with occasional blizzards. Vernon Hills IL gets around 36 inches of rain per year. 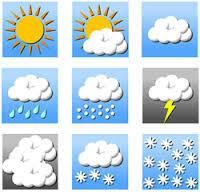 On average, Vernon Hills residents receive clear weather 52% of the time. Vernon Hills IL has a wide range of employment options nearby including major employers like Kraft Foods, Siemens Industry’s U.S. headquarters and CVS corporate. The unemployment rate in is 7.0% with job growth of 3.74%. The sales tax rate is 9.00% and income tax is 5%. The Vernon Hills Metra is located 32 miles from Chicago’s Union Station taking an hour to get into the heart of the city. The commute time from Vernon Hills to Chicago ranges from 35 minutes (off hours) to 1 hour + (rush hour). With over 30 years of Real Estate experience, we have consistently been in the top 2% of all Chicagoland agents. We specialize in guiding buyers and sellers through the home buying and selling process. We also help families relocate from all across the globe. In Real Estate, it is important for our clients to have a team of agents that are knowledgeable and talented. The Kaplan Team works exceptionally hard for our clients and success and client satisfaction is the result. Our clients get our undivided attention. We create comprehensive marketing plans that fit their individual needs. The Kaplan Team provides up to date print and Internet marketing using SEO and Social Media outlets to ensure that our clients’ homes get top notch online exposure. Our number one goal is to go above and beyond the needs of our clients and to put in 100% of effort in every transaction. After all these years, we still embrace all of the challenges and victories that Real Estate brings. We have been fortunate to win numerous local and national sales awards, but the biggest reward is when a client tells me how happy they are in their new home. Please feel free to contact us, Anne at 847-401-7904 | akaplan890@gmail.com or Lindsey 415-215-0077 | lindsey.kaplan@gmail.com to put over 30 years of experience to work for you. See all Vernon Hills IL homes for sale at the link provided below.